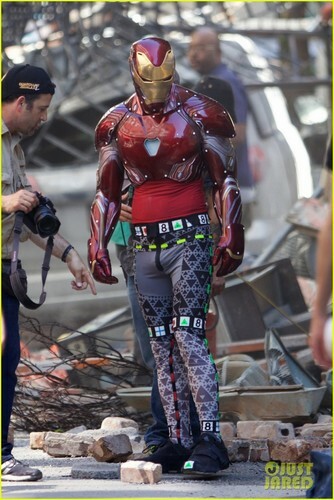 Iron Man Wears His Armor in New 'Avengers: Infinity War' Set photos. Iron Man gets his armor back in these new photos from the set of The Avengers: Infinity War, taken on Tuesday (June 27) in Atlanta, Ga.. HD Wallpaper and background images in the Les Avengers club tagged: iron man the avengers infinity war set photos. the avengers (cast) | ten crazy actors that l’amour each other.